for us to share a little about our own experiences with quilting. Thanks, Marian! I've sewn since I was a young girl, but it was clothes, not quilts, that I worked on. Over the years I've made prom dresses, wedding dresses, and outfits for my kids. This is my daughter in a dress I made for her. She's patiently waiting for her date to come. It's hard to believe this funny girl is now the mom of those five Monkey Boys! My mom always had quilts set up on wooden frames in our living room. They weren't elaborate quilts, just the standard 4" to 5" blocks from leftover clothes and fabric. She showed me how to tie quilts and I loved to see how fast I could finish a row with yarn. I was almost as fast as my mom, who was CRAZY fast! Using the same wooden frames from my mom, I set up tricot quilts in my living room. I drew designs and then hand quilted them. They were so soft and easy to quilt on. and I drew the design on it by looking at a small graphic in a book. I finished the edges with lace. I don't let it discourage me from using ideas from my head to make new things. Northcott is giving away a fabric bundle for two different winners! There's a giveaway from Calibre Arts for one of their amazing cutting mats! This item will be shipping through Amazon so you may be responsible for shipping costs. Thanks for stopping by to help celebrate International Quilting Days! Hi Carol. When I was little I stitched doll clothes by hand. But in high school I was offered sewing I and sewing II and jumped at the chance to learn to sew on a machine. I made clothes for me and then my daughter. I held my love for sewing and added needle work and crochet to the mix. Oh what an interesting quilt that white one is! I started sewing in Home ec too! I enjoyed sewing the few clothes I did in HS, but I have the hardest time sewing clothes now! lol. Thanks for sharing! Thanks for sharing your story and your wonderful projects! I'm pretty much self-taught when it comes to sewing, although I have taken classes both on-line and with live people lol. My mother sewed too. I got my love of it from her, but I am mostly self taught. I didn't start quilting until later in life. I made a lot of my kids clothes and ended up with a lot of scraps. Well those scraps turned into quilts. Now I'm hooked. Lol! OH Carol.......love your tricot quilt. My aunt taught me how to sew and I learned to quilt by joining a group when I was in n my 20s. I learnt how to sew at school in Home Economics. Didn't do a think for years after that. Then a few more decades before I found quilting. Great post and love the prom dress photo! I took Home Ec in High School and got the basics - the rest is all self taught. My mother always sewed, but I remember learning how in seventh-grade home ec class. After high school, I met and ended up marrying my teacher's nephew! My mother taught me to hand and machine sew, knit, & crochet. Twenty five years ago my best friends mother taught me to quilt, Thanks Barb. Tricot, WoW.. hand quilted.. WoW.. and double WoW.. I can't even imagine hand quilting thru tricot, that took some kahulas.. and it's sew darn beautiful. The design is truly stunning. I've always enjoyed seeing what you were up to, but these are wonderful projects from a wonderful person. Great story! I can't imagine sewing on tricot, but yours was beautiful! You are so creative! My mom taught me how to sew when I was 11 yrs old. I made a whole outfit for 4-H. I got blue ribbons on all three of my projects. I have been sewing ever since. I taught myself how to quilt. thanks for the great giveaway. Thanks for the wonderful giveaways today. Thanks for sharing all your Spring projects. My mom couldn't teach me to sew but she found someone who could. She found it so amazing that I hand quilted for stress relief that she bought me a hard rock maple hand quilting frame for $500 in 1980. I think she was ashamed of my 2by4 frame. I wasn't! If she were alive today, she would be amazed that I still do handwork with my bad hands. I learned to sew in Home Ec and even more from my mom. 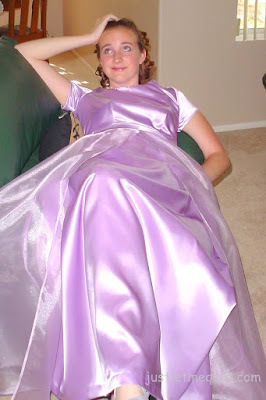 I also made a purple prom dress for my daughter. The tricot quilt is amazing. Carol....you're a Quilt Quazy Queen everyday! 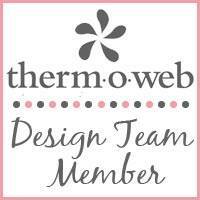 Love all of your projects and your willingness to share the inspiration! I was taught to sew by my home eco. teacher in high school. Did not sew again until 2yrs. ago. If it wasn't for people like you online and at the quilting store I still would not be sewing. I have enough of your patterns to keep me busy for another two years, Thank you and thank others like you. Your kindness and sharing is keeping me going right now. I am blessed, and may you be the same. A college professor taught me to sew in a clothing construction class in 1972. She was very patient with this beginner in a class of extremely talented girls. Thank you Mr. Nader! Thank you Northcott! Thank you Quilt Qwazy Queen! I love your Spring party quilt. Thanks for sharing! 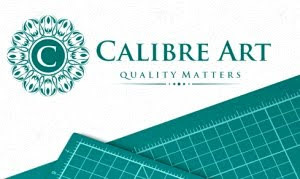 I would dearly love to have the new Calibre Cutting Mat. Thank you for this wonderful opportunity! Awesome quilts. The Tricot is stupendous. I could never do that, I am sure it takes a lot of patience. Beautiful! My Mom started me sewing dishtowels when I was 6. In high school I took a class at our local vocational school & started making my own clothes. Started quilting when I retired 10 years ago. Wow, I've never heard of anyone making quilts from silky fabrics. Just beautiful & I'll bet sew soft to cuddle in. The picture of your daughter is priceless! Thanks for sharing your story. Love that tricot quilt!!! Great design! I took Home Ec in high school, sewed a few things along the way for my three girls. Self taught myself to quilt until I figured I should take a class and learn the correct way. Quilting is my passion. My mom taught me to sew - clothing, not quilts as she was not a quilter. I loved the picture of your daughter waiting for her date! ;-) Your hand quilted piece looks wonderful. Do you still have it? Love the tricot quilt. It is totally amazing. Thanks for sharing your quilting Journey. I have been sewing since the age of 9 yrs and got my first sewing machine then. All of the women in my family sewed so it's hard to say who taught me first. It was all I knew. I garment sewed for many years and started quilting about 8-9 years ago and I love it. No hand quilting for me though. If it cannot fit under one of my sewing machines, I cannot make it. Lol Enjoy your creative journey. Wow, all the hand quilting is stunning. I love your Robin Williams quilt. What a great memory! Thank you for sharing your story. Your work is beautiful. I also started with clothes. My grandfather worked in a fabric mill and brought home bolt ends, misprints, etc. so I had unlimited fabric available. Some was nothing you'd want to wear but it let me practice and get very good at clothing construction. I got a sewing machine when I was in my twenties to mend clothing. With two young children and working I just didn't have time to teach myself more than that. Now that I am older than dirt I am teaching myself to sew and quilt. It is so interesting and such a fun journey. Thank you for a chance at the give away. I took sewing in Home Ec, but I think my sewing inspiration was my maternal grandmother who made me the most amazing clothing. The one I still remember was this black pinwale cordoroy that had little embroidered flowers all over it. Loved that dress. I only sewed for my kids when they were little - I never had the nerve to try a prom gown! My great grandmother when I was very small taught me how to sew on buttons. 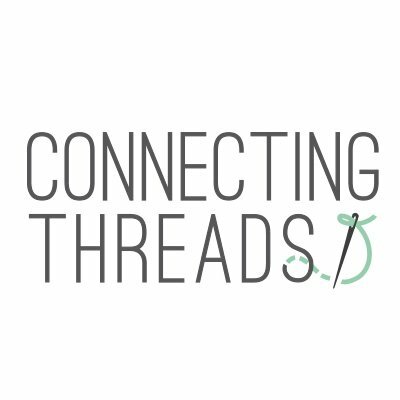 My mom was a 4-H leader for a couple of years and I started to learn sewing from her. The rest is self taught. My mom quilted too. My dad made us a wooden quilt stand out of 2x4's and we used that to quilt on. She helped me iron on state flowers on a white sheet and we sat and embroidered every flower. That quilt wore out long ago, but I treasure the memories. Thanks for sharing yours. That tricot is beautiful! great quilts and things. I learned to sew in school in Denmark, then fast forward to the US I learned to quilt from a pastor's wife almost 12yrs ago. Oh Carol, you are the cutest and best ever. Your daughter is adorable too. 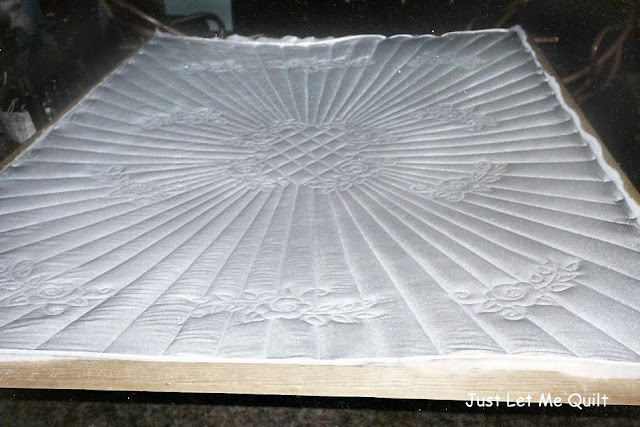 I taught myself to sew at 12, mom's pfaff always fascinated me. Enjoying all the talent, stories and effort you all put into this-thank you. My mom taught me to sew as a kid. We made doll clothes, and then she taught me to piece quilt tops. I pieced a quilt top and won 1st place in the 4H show in middle school. I still love sewing! I've never heard of tricot quilts! You do fabulous work. I enjoyed seeing your projects. My mother taught me to sew when I was little, to keep little hands busy. I sewed doll clothes, then clothes for myself. 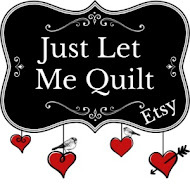 I also embroider, bead, cross stitch, applique and make one of everything. I am self taught. Your post was amazing so inspirational, showing us how you grew in the quilting world. Thank you so much. I learned basics from my Mom and in Home Ec class, learned some things by reading and taking a class here and there, learned a lot from my MIL who is an accomplished seamstress and quilter. Your projects are just lovely! I've enjoyed the hop, thanks for being a part of it! Aww, I loved your story. I guess I learned to sew by watching my mom and grandma. My first sewing projects were make shift Barbie doll clothes for my dolls. What a great story. My mother taught me the basics and then I ran with it. My first sewing project was a stuffed whale in Home Ec class. My mother hated to sew. I learned in Home Ec where I was forced to make a wrap around skirt. It's amazing that I learned to love sewing! My mother crocheted, I tried. But I love quilting. 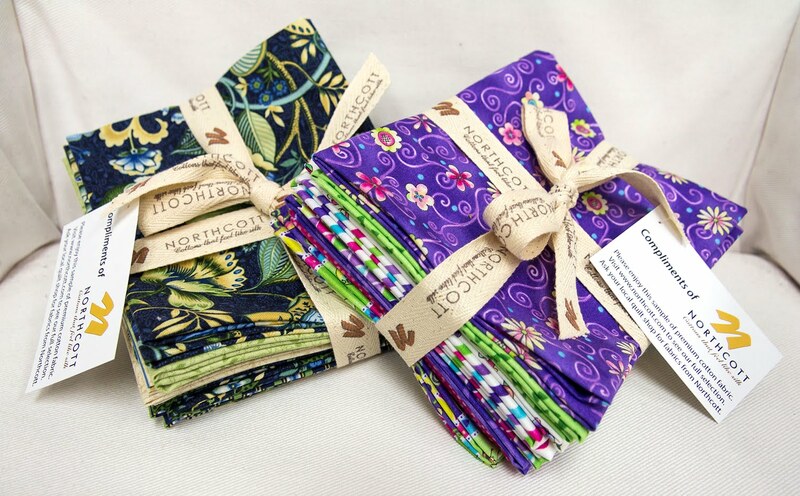 I love all of your projects, but your tricot hand quilted one is absolutely beautiful! I learned the basics of sewing in Home Ec in school, but anything beyond that is self taught. Thanks! My Aunt LeeAnn helped me make a bag when I was about 8 I think. My Mom tried, but got frustrated with me (or I did with her) and then in my 30s I took what they'd given me and took off from there. I love your tricot quilt! Sweet and short...hmmmm, that's rather too descriptive of me! My aunt taught me to sew. My mom and grandma taught me to sew. I took sewing in school and because my mom sewed I thought I should to. Today I know I love it more than my mom ever did! My mom taught me to sew, but also remember watching my Grandmother sew a lot. Lovely quilts, but I really love the little round bag, so cute and unique! My Mom taught me some, and school taught me the rest. After that, it was just practice, practice, practice! I am enjoying the hop! Mainly I'd have to say my mom exposed me to sewing. She started by making a dress for me that had binding sewn around the arm holes, neck and hem - like a paper doll dress! She ended by making and designing beautiful lined coats, jackets, pants, skirts. Beautiful stuff. She would look at an outfit in Voque and draft a pattern to make it for me. The downside is she would then make seven of the same pattern for me - there were a lot of repeats. In college I took a sewing class to meet a general ed requirement and the other students were such pros at sewing. Mom got permission from the professor to help me at home. She would make one side of a project and I would do the other. It was obvious which side I had done. Reminded us of an I Love Lucy episode where she was knitting something. Anyway, if it weren't for my mom I would not have these sewing machines. She didn't quilt, but did do appliqué on a wall hanging. I'm glad I that as I will never outgrow it! Cutting mat would be great to have too! Thank you for the chance. The internet taught me to sew. Thanks for sharing your story and your quilts. My mom taught me to sew, and like you, it was first clothing that I made. Gave it up until I had my first son, and then the quilting bug bite me bad!! That white quilt is amazing. I didn't start sewing until I retired, I think I should have started 30 years ago. I learned to sew from my mother. Never took Home Ec at school like so many others but did at university. Garment sewed for many years and now mainly quilts. Great quilts you worked on. It was great hearing your story. My Mom taught me how to sew, knit, crochet etc. I'll always be thankful she encouraged me to create. I learned to sew in home economics classes. I made an apron then a peasant blouse. Grad came quickly so the next thing I made was a sleeveless A line gown with a shortie jacket. My mum had a sewing machine that she used a lot when we girls were young, so I used her machine. I'm so glad we had sewing classes in school. I have done some "big stitch" hand quilting, but yours is so beautiful. Thanks for sharing your story. I've enjoyed reading these stories, and seeing your quilts and projects. I taught myself to sew, with the help of library books. You have made lots of neat projects this year! Thanks for sharing. You have made some very beautiful things Carol.My mom taught me to sew simple things like aprons and doll clothes when I was big enough to reach the pedal on her old treadle machine. Then I took Home Economics in high school and started sewing my own clothes. I love the whole process of creating projects on the machine. I taught myself to sew and quilt--I had help on the quilting part because I watched Quilt in a Day on PBS for years! thanks to El I quilt a lot! Although my Mom sewed all the time, she never taught me. I learned to sew in Home Ec. in school. Love your garden BOM block! Your daughter looks so sweet in her gown. Hope he wasn't too late, lol. I was a self taughter. No one in my family quilted, my mom hated to sew. When I took home economic in school, she laughed at me. Course I wasn't any good.....didn't have the patience then. Wow, how things change. Thank you for sharing your story, I enjoyed it. I actually taught myself to sew. My mother did not sew very much, but I was fascinated by her sewing machine even as a child. I bought a Quilt in a Day book to make my first quilt. My mom was a wonderful sewist. Although I learned many things from her, my first experience in sewing was through a 4-H group. Love the tricot quilt! Thanks for sharing your story. My Mom taught me to sew, but I didn't learn to quilt until after my children were grown. I love the colors you are using in your Garden BOM. Your Projects shared are all sooooo cool! Would love to see the tricot quilts you made...Amazing job!! And the Blocks are Fresh & Springy!! I love the picture of your daughter! I taught myself to sew when I was about 16 - the sewing machines at school always terrified me! Mom taught me to sew, hand embroidery and to make "rag rugs" out of old clothing and fabric scrap strips. Pure joy to this day. I learned to sew in high school in the home economics class. I hated the dress I made. The giveaway is awesome and I'd love to win. My mama taught me to sew and bought me my first sewing machine when I was 9 years old. A treadle machine! Like what she learned to sew on. My grandmother, and my mother taught me to do a lot of crafts, knitting, crocheting, and sewing. I learned to quilt later! I've never heard of quilting a tricot fabric before. I usually associate tricot with slips and lingerie. It looks beautiful. I started sewing clothing when I was young. My mom was not a good seamstress even though she though she was. Her advice was often wrong and caused all kinds of problems. I didn't let her come anywhere near me when I was making my wedding dress. I don't think I would enjoy making clothing anymore. I love quilting too much to split my time with anything else. I guess my mom originally taught me to sew, but I got a few additional skills from the Home-Ec class that I took. After that, I was off and running! First it was just clothes, but since my kids are grown and gone, I sew quilts instead. I admire you for always wanting to make something new and different. I try to do the same thing, even in the kitchen. Who wants to eat the same thing over and over? I learned to sew in Junior High Home Ec class. My wonderful sewing teacher was Miss Wilhelm and I'll always remember her for her patience and encouragement. I can't imagine a class of 30 girls all at a sewing machine for the first time and attending to them all! She was a saint. I started much like you did. I sewed most of my clothes all through high school and made clothes for all of my children when they were little. Now I sew for my grandchildren and in between, I make quilts. My mom sewed but never made quilts. I learned at a night school class over 35 years ago. I love the projects you've made. They all look like they were fun to make. Love your basket with the flower on it. I learned the basics from a Home Economics class in High School. 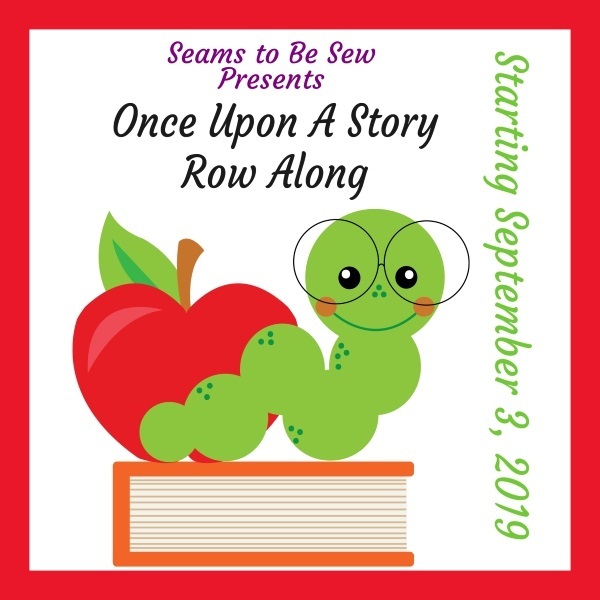 It's My Penny Rose Wool Blog Tour Today!